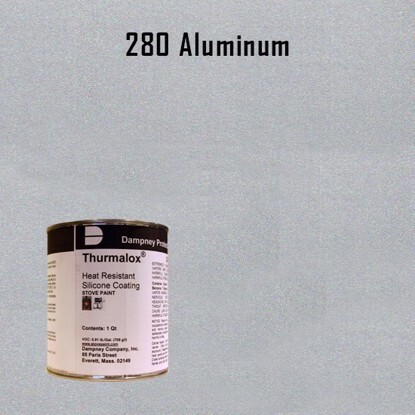 Thurmalox Aluminum High Temperature Stove Paint - 1 Quart Can - Thurmalox high temperature paint withstands continuous temp's to 1200°F. 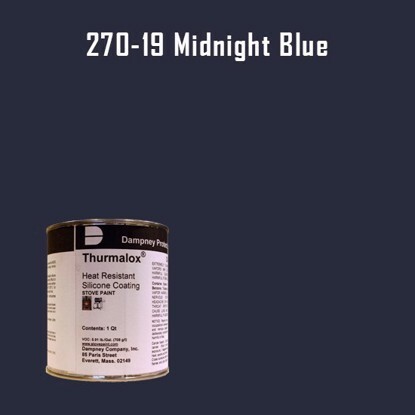 Thurmalox Midnight Blue High Temperature Stove Paint - 1 Quart Can - Thurmalox high temperature paint withstands continuous temp's to 1200°F. Thurmalox Midnight Brown High Temperature Stove Paint - 1 Quart Can - Thurmalox high temperature paint withstands continuous temp's to 1200°F. 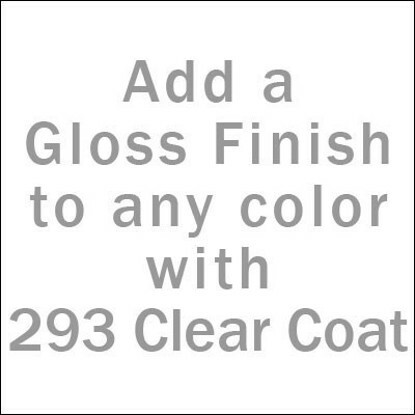 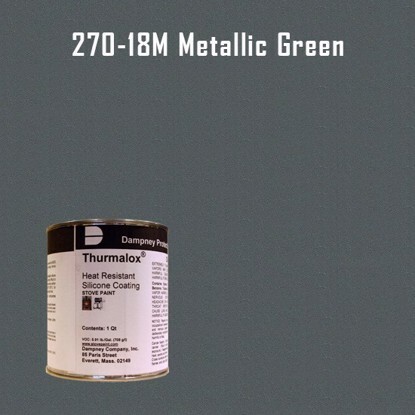 Thurmalox Midnight Green High Temperature Stove Paint - 1 Quart Can - Thurmalox high temperature paint withstands continuous temp's to 1200°F. Thurmalox Parchment High Temperature Stove Paint - 1 Quart Can - Thurmalox high temperature paint withstands continuous temp's to 1200°F. 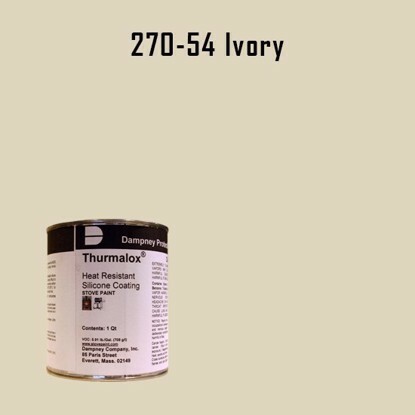 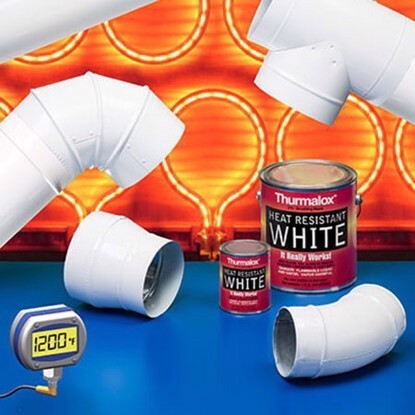 Thurmalox Pure White High Temperature Stove Paint - 1 Quart Can - Thurmalox high temperature paint withstands continuous temp's to 1200°F. 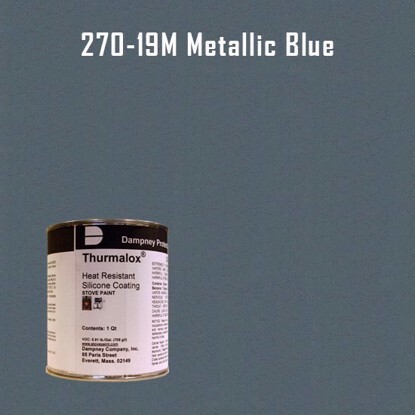 Thurmalox Raleigh Blue High Temperature Stove Paint - 1 Quart Can - Thurmalox high temperature paint withstands continuous temp's to 1200°F. Thurmalox Sapphire Blue High Temperature Stove Paint - 1 Quart Can - Thurmalox high temperature paint withstands continuous temp's to 1200°F. 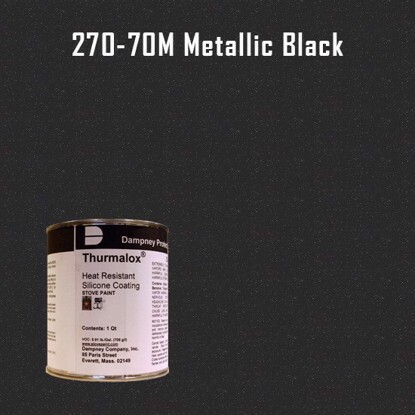 Thurmalox Satin Black High Temperature Stove Paint - 1 Quart Can - Thurmalox high temperature paint withstands continuous temp's to 1200°F. 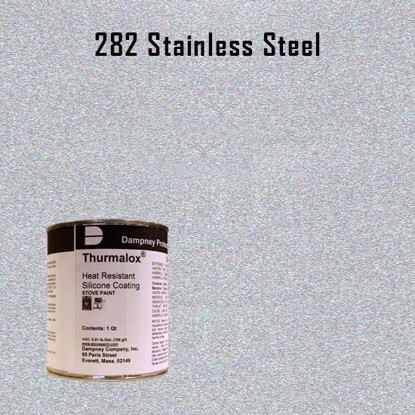 Thurmalox Stainless Steel High Temperature Stove Paint - 1 Quart Can - Thurmalox high temperature paint withstands continuous temp's to 1200°F. Thurmalox Warm Brown High Temperature Stove Paint - 1 Quart Can - Thurmalox high temperature paint withstands continuous temp's to 1200°F.